Over the past 25 years, the Republic of Somaliland has built a functioning democratic state from the bottom up. 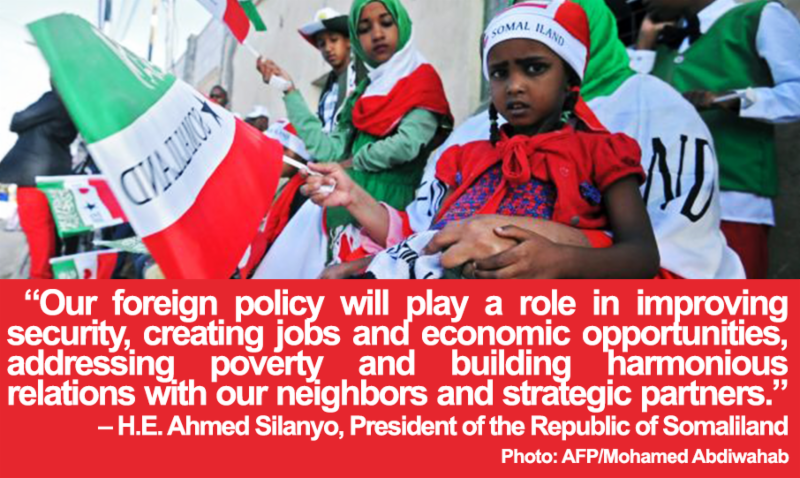 Last week, Somaliland announced its first comprehensive foreign policy, which commits its Foreign Ministry to assert Somaliland’s sovereignty, protect its territorial integrity and promote the security and prosperity of its people. The people of Somaliland have sacrificed much to create the democratic, peaceful and secure country that they enjoy today. The country’s new foreign policy will help Somaliland assert itself on the international stage and guide the next phase of its development.